Start taking classes at Paragon and other studios! Their mixed ability boxing classes emphasise the importance of timing and distancing, which is best achieved through the introduction of controlled sparring. As students advance, they will be equipped with a high level of skill, control and discipline, so they can progress with minimum risk of injury. 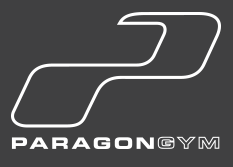 Paragon Gym's friendly and enigmatic teaching style has captured the hearts of many students over the years. Boxing and kickboxing is their thing! There are no upcoming “Beginners Boxing” classes on this day. They are in the basement of Walker House on the other end of the street from The Albion Restaurant/Hotel. I’ve been to 5/6 boxing gyms through Class Pass to learn technique - this is by far the best of all I’ve been to in the East London area. Really attentive instructors offering critique on technique, power and form. Great class for beginners. Super fun class, the teachers really focus on technique, great work out too! So much fun! Great teachers. definitely fine for beginners. the instructors were enthusiastic and helpful and although the room was really crowded they still got round to everyone to correct technique. it's not an intense workout but you get sweaty and your arms might ache a tiny bit. wouldn't advise if you want to learn boxing quickly but it sonething fun to do as a bit too intense workout. Good trainer. Would prefer something with more of a workout though. This was an amazing class, great energy of the attendees, instructor and assistants! She was quite knowledgeable and good at explaining the moves, definitely feel like I left having learned a bit - complete first timer here. 10/10 would come back! Re- the studio, the changing room doesnt have lockers, everyone brings their bags out to leave by the class area so was ok but something to keep in mind.